So where's the trickle down? America's wealthy are richer than they've ever been ... Corporate profits are at record levels ... Big corporations are sitting on more cash than they know what to do with (Robert Reich / Alter Net). Naomi Klein is right, unchecked capitalism will destroy civilizaiton (Think Progress). CIA insider warns that a "25-year Great Depression is about to strike America ... and, yes, the long video is worth watching (Money Morning). Cradle to grave: Student debt now bankrupting seniors (Bill Moyers). How four decades of lobbying and legislation gave corporations dominion over our economy, and eroded the American middle class ... A timeline of the choices we've made to increase inequality (YES! Magazine). Recommended readings: The Detroit Bankruptcy (Bill Moyers). For the serious policy wonks ... Everything you wanted to know about our national budget defense estimates for FY 2015, and more (Office of the Comptroller). MORE POLICY ISSUES ... PRAETORIAN'S IN OUR MIDST? The rise of the Praetorian class (Lew Rockwell). Our Pentagon has gone Praetorian? 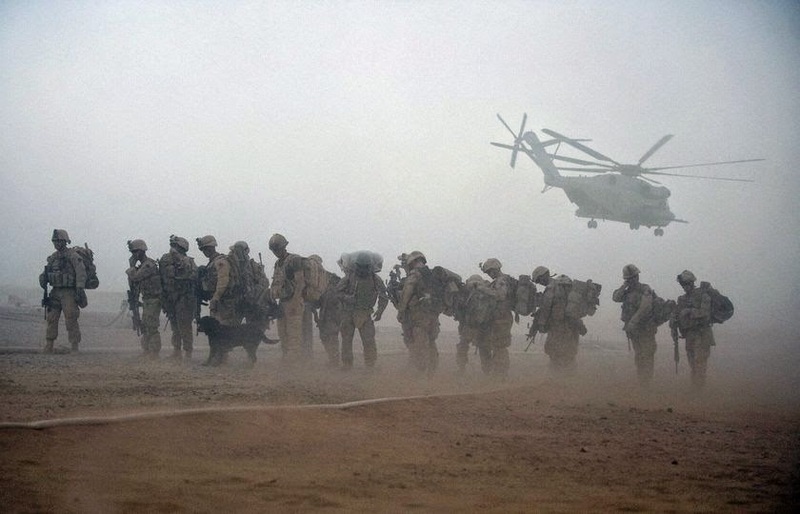 Why the showdown with Islamic extremists is the war the Pentagon was hoping for (Alter Net). 8 things you may not know about the Rome's praetorian guard (History). 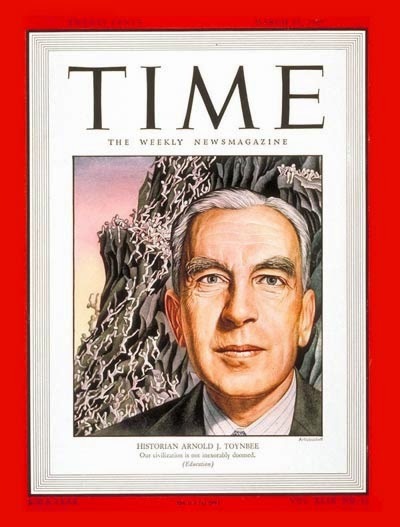 Arnold Toynbee, author of the epic A Study of History, believed that there was nothing in the biology, geography, or mysticism of a civilization that determined their destinies. In his view, theories of master races, an abundance of natural resources, or Manifest Destiny-like visions don't determine history. What determines a society's ability to adapt, survive, and prosper as a civilization is the way it responds to challenges. Toynbee believed how great civilizations - at least the 21 or so civilizations that he located - responded to challenges depended on how "creative minorities" acted when confronted with protracted problems. It could be spiritual, as was the case when the Catholic Church responded to the Dark Ages by organizing Germanic tribes and kingdoms into a single religious (and Catholic) community. This helped make the Dark Ages less dark, and set the stage for the emergence of feudalism and, eventually, the rise of our modern nation-state system by 1648. Responding to challenges could also be physical, as when the Sumerians organized society to drain and reconstitute the swamps of present day Iraq, in the process building large scale irrigation systems that allowed the agriculture revolution in the region to take off. The ability of the United States to conquer the vast expanse of the continent with canals, the rail roads, and the Army Corps of Engineers is evidence of this too. When civilizations stop responding to big challenges creatively they begin to spin into gradual collapse, with nationalism, militarism, and the tyranny of a despotic minority overshadowing and finally replacing the ingenuity of creative minorities. 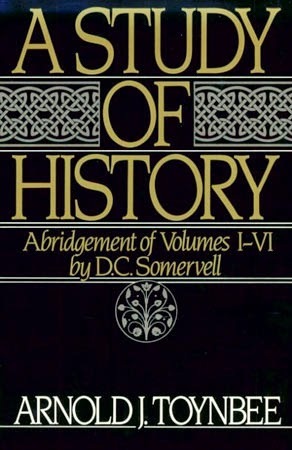 It's at this time that civilizations begin to swirl the drain of history. According to Toynbee, apart from nationalism, militarism, and tyranny, one of the features of a civilization in decline was growing wealth inequality - or what Toynbee might have called the "schism" between the "satiated" and the "hungry." Once incomes and wealth became more concentrated great civilization were on the path of decay. This path was paved by the reluctance of elites to participate in the maintenance of society and, especially, to the maintenance of those at the bottom rungs of society. 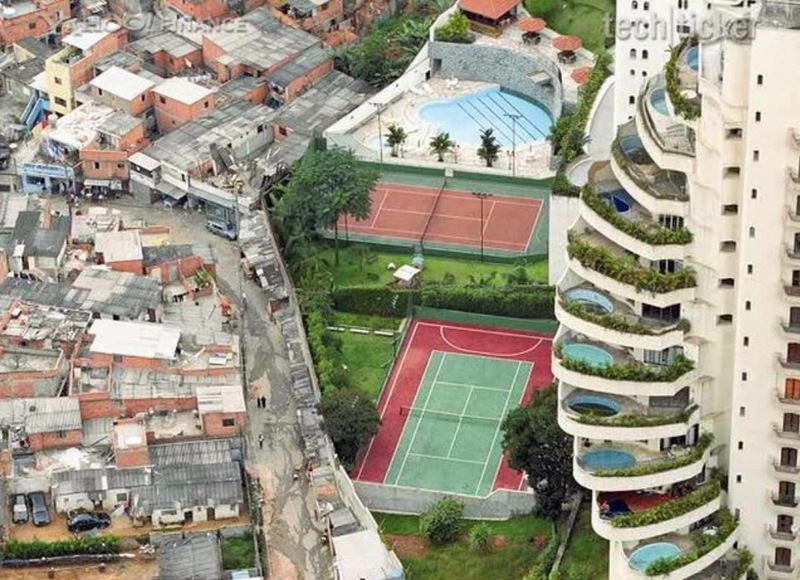 This is what makes growing inequality today so troublesome. 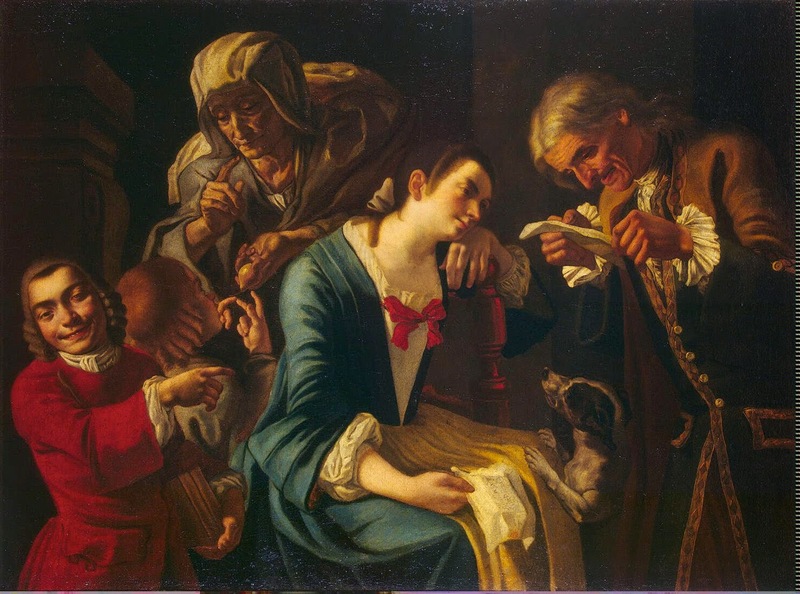 Compared to history's financial gluttons - when there were fewer rules, and slavery was legal - the income (and wealth) gaps we're experiencing today tell us that history is whispering in our ear. And it's not good. Our modern "schism" works like this. Conservatives today see a world where those with wealth earned it on their own. 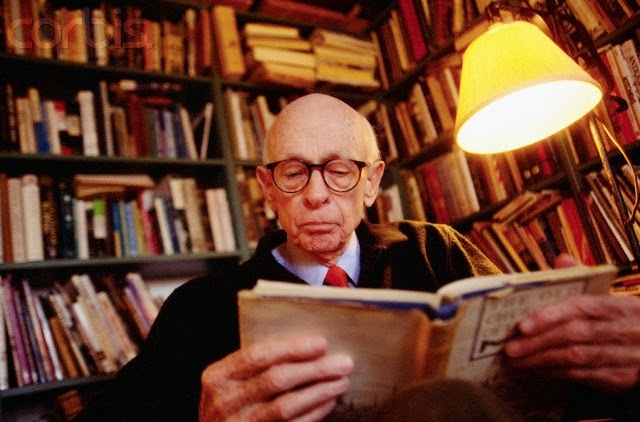 Liberals like Hedrick Smith - author of Who Stole the American Dream? - and me see wealth created by corporate lobbyists, who douse their clients in favorable legislation, bailouts, and business friendly tax cuts that effectively guarantee financial success and class dominance - all at the expense of America's middle class. 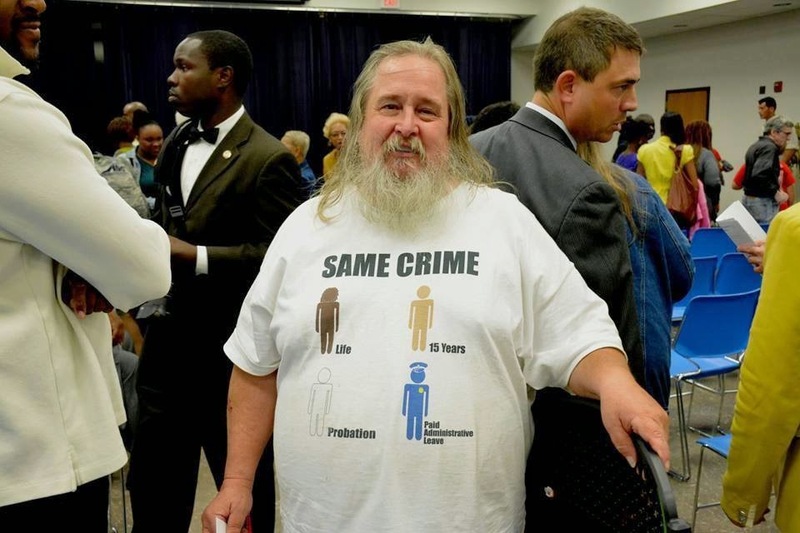 Put another way, growing inequality in America is a deliberate and on-going process. Arnold Toynbee would recognize it. We should recognize it, and understand what it means for our future. But we don't. We're acting like historical illiterates. Worse, we're approaching our future as if history never happened. UPDATE: I added a little more context to this post here. It's stuff like this that should have all of us pulling our hair out. I received a faux editorial-ad that talks up the market skills of billionaire hedge fund manager David Tepper. 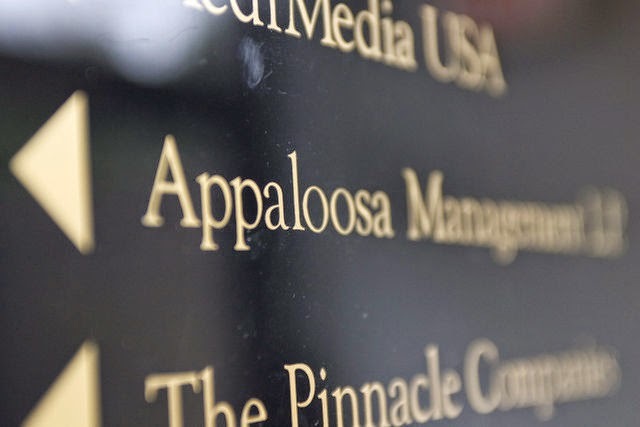 His firm, Appaloosa Management, manages about $20 billion. Tepper was paid well over $3 billion in 2013. Below is a snippet of an editorial-ad championing Tepper's market skills. It's partially written in market-speak. My translation follows below. 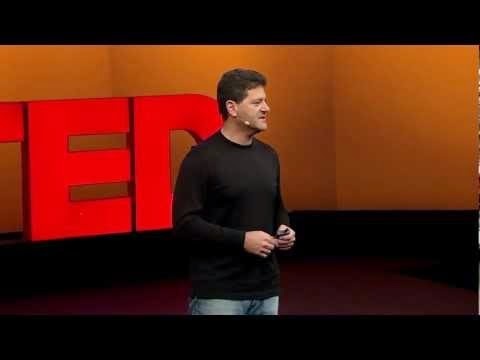 Recently, at the SkyBridge Alternatives Conference in Las Vegas, [Tepper] said, “The market is kind of dangerous in a way.” He cites a slow growing U.S. economy coupled with a complacent Federal Reserve as the reason for his nervousness. And who can blame him with the stock market trading at all time highs.Tepper has proven his ability to accurately time financial markets for maximum gains. Following the subprime crisis, he bought heavy into the financial sector and returned 132% to his investors. Today Tepper is more afraid of deflation than inflation, but he’s not recommending investors sell everything and hideout in a bunker with food and guns. He said, “I’m not saying go short, just don’t be too frickin long.” He does, however, feel investors would be wise to raise cash, which is always prudent advice when markets have gone nearly straight up for 5 years. What the editorial-ad says is Mr. Tepper is worried about a weak economy because the Federal Reserve may no longer be dumping as much cheap money into the market as it has done in the past. At another level it says what I've been saying for years. The market gains we've been seeing are not real. It's all artificially inflated with Fed cash. There is no magic of the market logic at work here. Tepper is no genius. He simply understands that when the federal government dumps trillions of dollars into the economy "the market" does better. What makes all of this so frustrating is that the ad congratulates Tepper for having the foresight to buy "into the financial sector" and then the stock market after Washington came to the rescue with bailout cash and cheap money. So, yeah, we're supposed to be impressed that Tepper - and every other wealth manager for that matter - jumped into a bailed out market that virtually guaranteed both the financial sector and the stock market would succeed. This isn't extraordinary market foresight. It's common sense, built around bailout cash. The piece ends with Tepper saying ("I'm not saying go short, just don't be too frickin long") don't put all your eggs in one basket, because no one knows what the Fed is going to do. In effect, Mr. Tepper is charging his clients 20 percent for "market" successes and advise that, ultimately, are driven by what the federal government does. Take away the bailouts and the Fed's trillion dollar dumps and Tepper's clients are probably suing him instead of worshiping him. 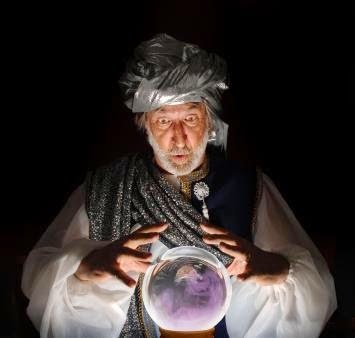 My friends, Tepper isn't a mystical Wall Street guru drawing from market insights only he can see. Mr. Tepper understands a good market subsidy - the bailouts and cheap Fed money - and is simply reacting to anticipated money flows from bailouts and the Federal Reserve's money dumps. 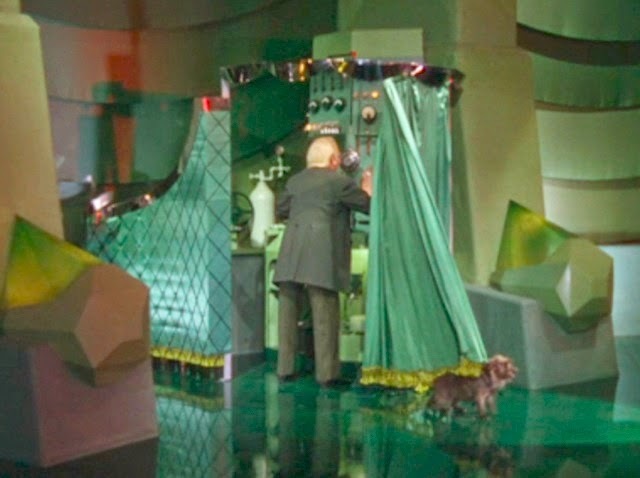 His "insights" come from understanding what the man behind the curtain is doing for our markets. Tepper making money in our markets is not a product of genius. A monkey throwing darts could have made money in our market over the past 30 years. The point is, we need to stop worshiping the guys on Wall Street who handle our money. Their genius and successes are a product of bailouts, and trillions in cheap money. The game is rigged. Today, all Tepper is doing is watching the Fed, and telling us what the simple country farmer has always known. Don't put all your eggs in one basket. Can you see it the first time? In 2013 UC Berkeley economist Emmanuel Saez wrote "Striking it Richer: The Evolution of Top Incomes in the United States." 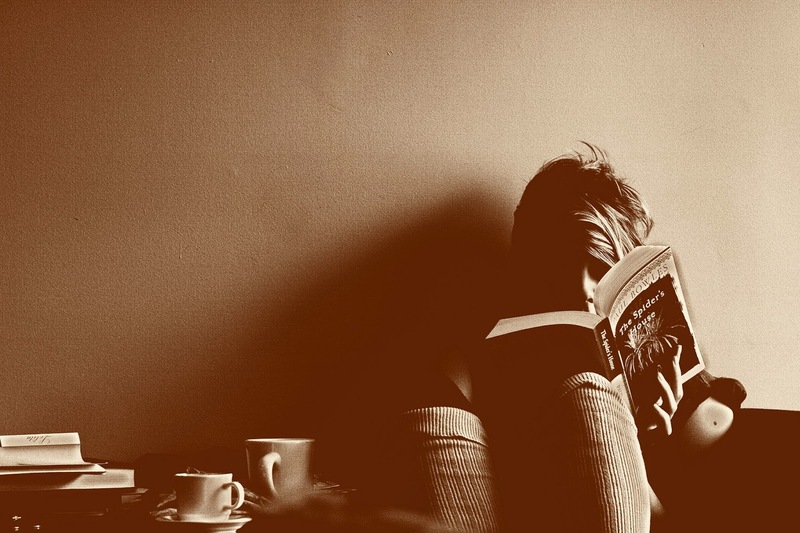 The study showed how 95% of the income gains from 2009 through 2012 went to the top 1%. As revealing as this study was, this chart is stunning because of how it shows what's been happening to income in America since 1949. 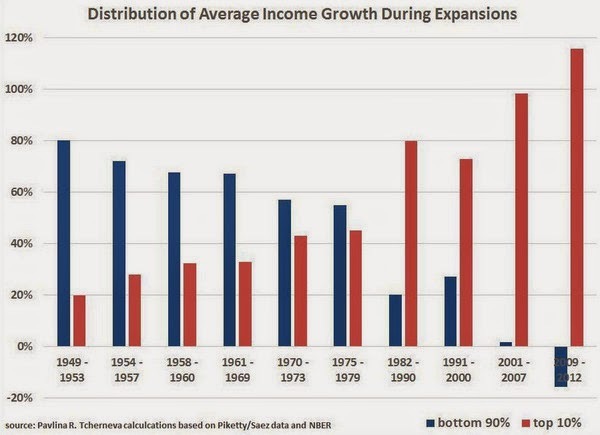 In a few words, since Republicans started going after New Deal institutions, attacking labor, and granting favorable legislation and sweet tax deals to America's richest class the top 10% has been devouring the fruits of America's productivity - as if the rest of us don't matter. 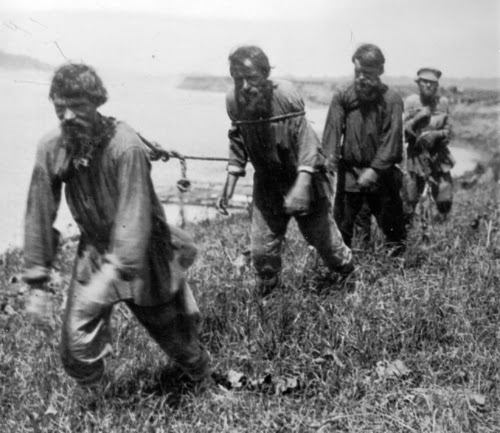 With such a prolonged period of stagnant wages and rising debt levels - with little hope of change in sight - one could argue that a modern form of debt drenched serfdom is just around the corner. Only, instead of working a manorial lord's land we work to pay off the debts that the lords of Wall Street manage. Oh, yeah. I already wrote that piece. 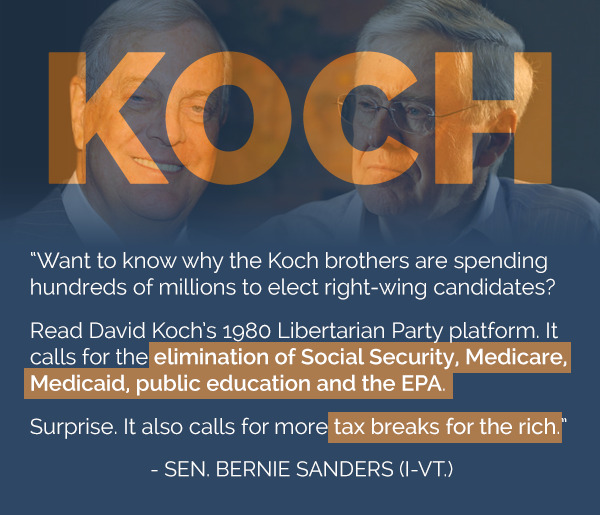 What do the Koch brothers want? Click here to find out. TEACHING GOP MEMBERS OF CONGRESS SCIENCE ... LIKE "PUSHING A MILLION POUNDS OF IDIOT UP A MOUNTAIN"
As a follow up to my earlier post explaining ignorance in Washington, we get Jon Stewart explaining what's wrong with our technologically illiterate Republican members of Congress. In a few words, getting GOP members who sit on House Committee on Science, Space and Technology to understand the science behind climate change is like "pushing a million pounds of idiot up a mountain" (3:25). 10 interesting facts about the Pentagon (Viral Nova). 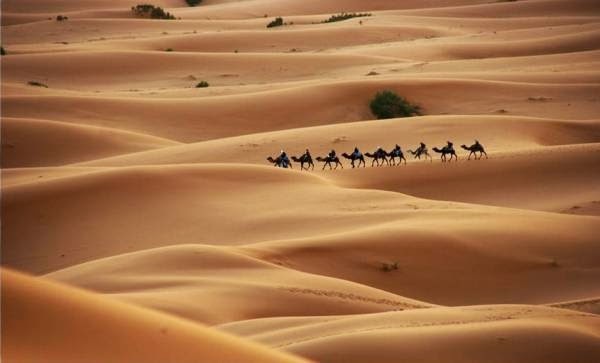 Amazing places on earth you can't or won't want to visit (Viral Nova). 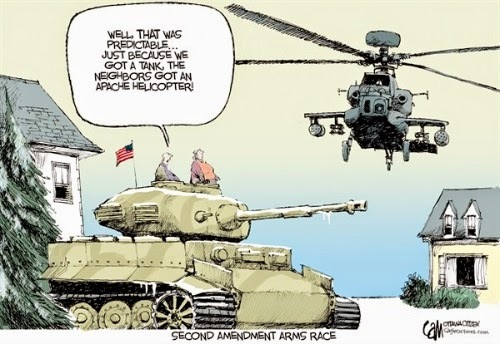 Newspaper apologizes for offensive cartoon comparing airplanes to slave ships (TPM). Two studies turn Wall Street's argument on its head. Higher CEO salaries have a negative effect on company performance, while states that raise minimum wage see greater growth (Daily Kos). The super rich no longer need a middle class (Salon). Robert Reich: Why Donald Trump and big corporations get breaks that ordinary people don't (Alter Net). More stupidity from the super rich ... Jack Ma (founder/CEO of Alibaba): If you're poor at 35, you deserve it (Zero Hedge). Watch California dry up before your eyes in 6 jaw dropping GIFs (Huffington Post). Louisiana's map is no longer a boot, because water's taking over ... the state's losing the equivalent of one football field per hour to rising water levels (Business Insider). Incredible pictures of huge algae blooms off the Alaskan coast (Business Insider). 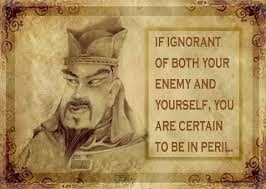 When war erupts patriots will be accused of aiding "the enemy" (Zero Hedge). How Obama's war against ISIS just keeps growing (Time). Worse than ISIS? A primer on the Khorasan group (Time). How to understand our current market conditions, and what to do if we want to avoid collapse ... A Q&A session with Shah Gilani (Money Morning). Inside the Washington-Wall Street corruption industry (Money Morning / Shah Gilani). Kill the Fed (Money Morning / Shah Gilani). Oklahoma trooper tells local news that the best way not to get raped by cops is to 'follow the law' (Raw Story). Ignoring that his cattle are illegally grazing on federal land (for which he pays nothing), Fox folk hero Cliven Bundy says he can sue the person who hit one of his cows because the hole in the fence his cattle used to enter the road is "the state's problem." Bundy believes the person who hit his cow "is liable to me" (Las Vegas Review Journal). How to defeat ISIS, according to Alice in Wonderland Ted Cruz (The Atlantic). Only 5 show up for militia border shutdown as organizers blame 'mass bloodshed' threat by cartels (Raw Story). The Satanic Temple's hilarious response to a pro-religion court ruling (Salon). Common misconceptions about Alibaba (WSJ / Digits). 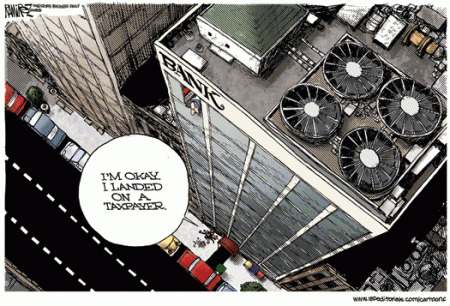 Subprime is back with a vengeance (Zero Hedge). Youth rise up ... there is no future in war (Counter Punch). The nuclear arsenal we don't need (The National Memo). 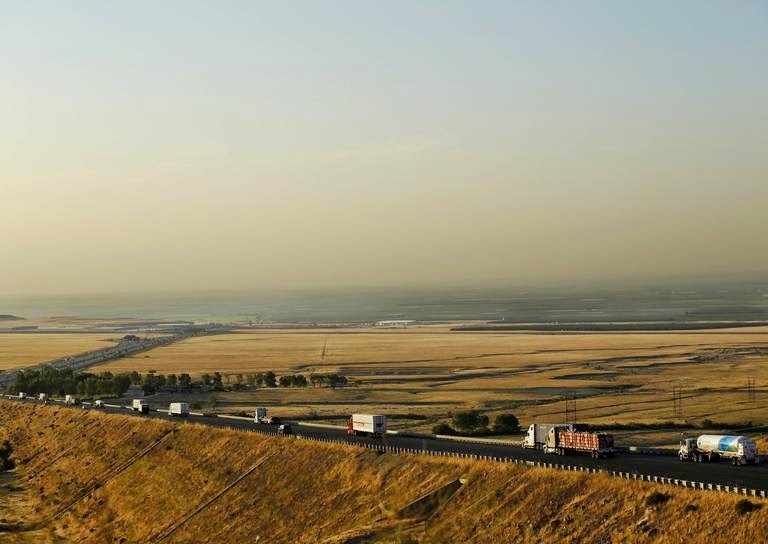 According to Time Magazine, my home town - Bakersfield, California - is the "worst place to breathe in America" ... again. 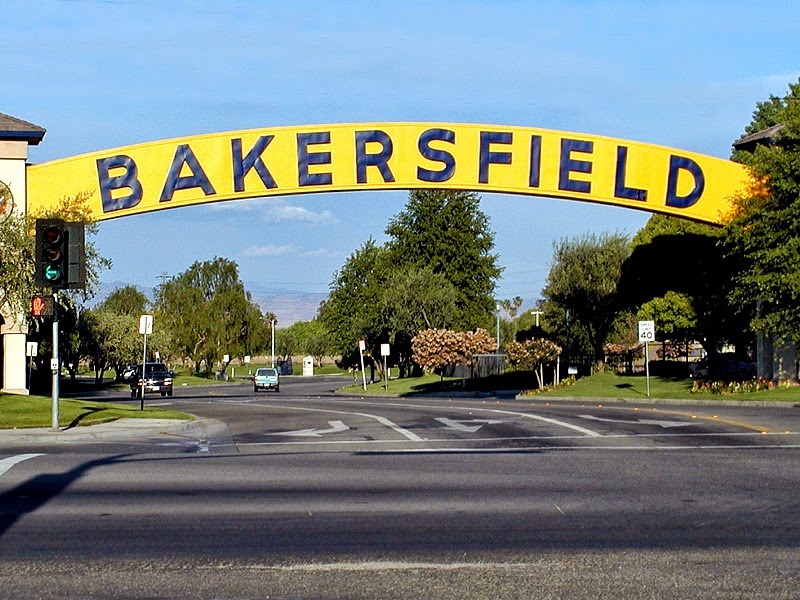 Bakersfield, California ... hiding behind the air pollution in the background. And you sure as heck shouldn't be spending $287 billion by giving away $287 billion in tax gifts to corporate America, and then calling them "bonus depreciation" deductions (a.k.a. tax expenditures). 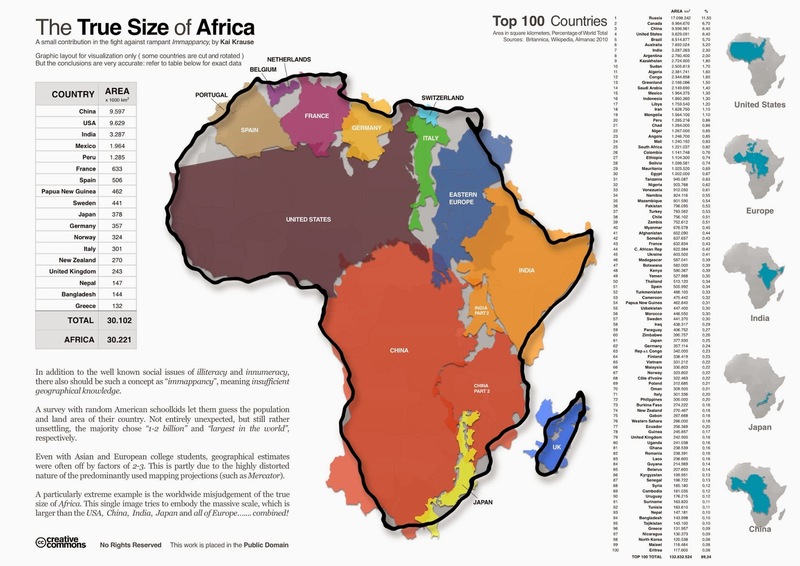 Did you know that continental Africa is big enough to fit the continental United States, China, Eastern Europe, Spain, France, Germany, Italy, India, Eastern Europe, and a few other nation-states? 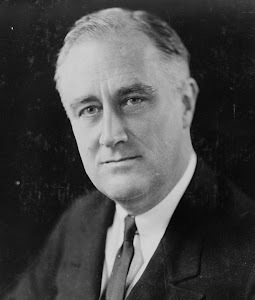 According to former Washington Post journalist/blogger Ezra Klein, official Washington "is a cesspool of faux-experts who do bad research (or no research), but retain their standing by dint of affiliations, connections, or charisma." It's been that way for quite some time. When we began to replace institutional experts with political hacks, objective policy analysis often found itself at the feet of ideologically drenched opinions and political vanity. Let me offer a couple of examples. It was the 1950s. The cold war was heating up. The Soviet Union had the bomb and the Chinese were now communists. Politicians were looking to score easy political points, and searched for scapegoats. 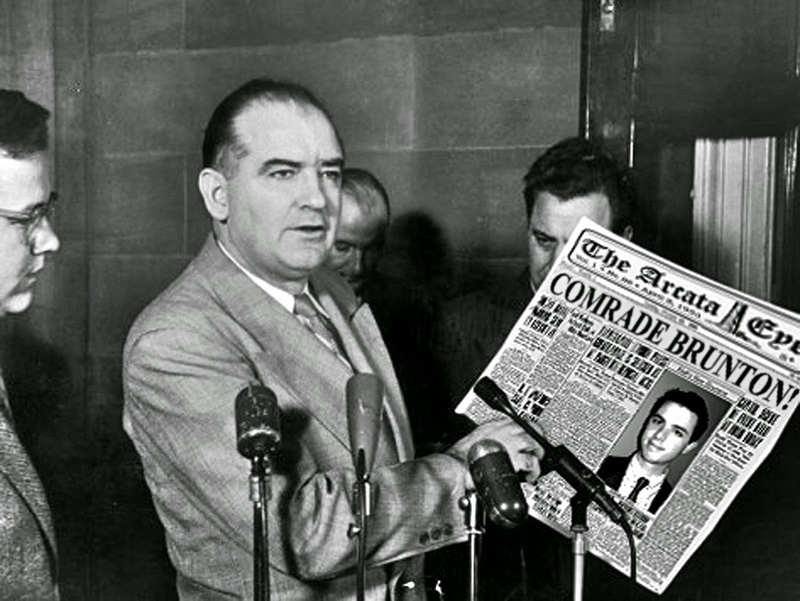 Senator Joe McCarthy stood up on the Senate floor and claimed to have a list of 57 known communists working in the State Department. He was going to tell us "who lost China" to the communists. And the political witch hunt was on. The Red Scare under McCarthyism led to epic political grandstanding. It eventually forced seasoned State Department Asian experts out of their positions. What made the witch hunt so difficult is that we always knew "who lost China." It was Chiang Kai-Shek (the future leader of Taiwan) who lost China. During World War II we were told many times that we couldn't trust Chiang Kai-Shek. At the same time we were informed that Chiang was not capable of matching - let alone challenging - Mao Tse-tung. He simply did not command the same respect and loyalty that Mao did among China's rural peasant class. 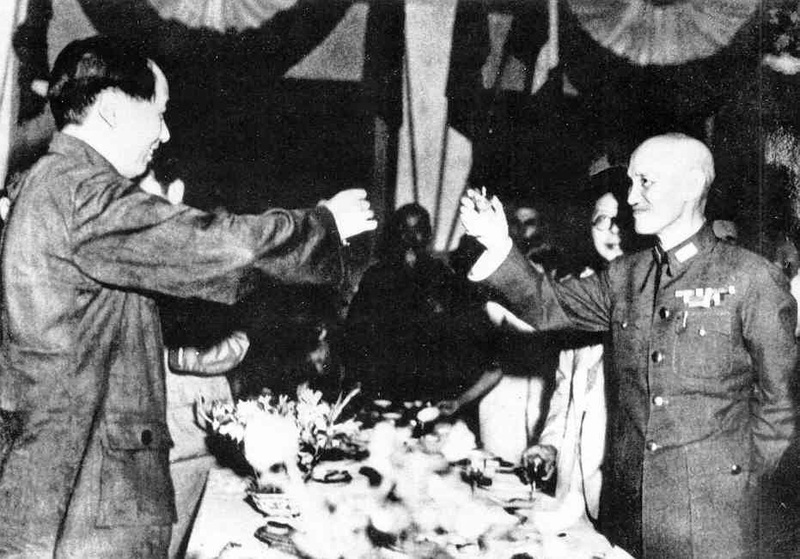 Mao Tse-tung (L) and Chiang Kai-Shek, 1945. Replacing the experts were political hacks, who knew little about Asia and offered terrible advise on the region in the 1950s. Every political intrigue was wrongly viewed as a Stalin-on-the-horizon moment, and had to be met with a military response. It didn't matter if nationalism or independence were the goals of regional leaders. We saw communists under every rock. 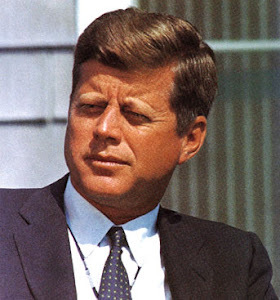 America's blundering war project in Vietnam followed. In 1995 Congress was led by Newt Gingrich and the Republican Party. They didn't want pesky facts getting in the way of their ideology. So our Gingrich-led Congress abolished the non-partisan and very objective Office of Technology Assessment. Congress effectively said, "We don't want to know ... we can find our own experts who will tell us what we want to believe." America's embrace of political opinion over established scientific fact - which has always helped power our political motor - switched into high gear. Hoping to run for president in 2012, Newt Gingrich publicly went after the non-partisan Congressional Budget Office (CBO) in 2011. The problem for Gingrich was that he didn't like how the CBO kept blowing holes in the GOP's ridiculous claims about tax cuts and free market fairy dust. Indeed, after President Bill Clinton signed tax hikes into law in 1993 Gingrich claimed that economic decline and huge deficits would follow. President Clinton left the White House with record job creation and budget surpluses that, at the time, were projected to bring in $5.2 trillions dollars in budget surpluses by 2010. This was enough to almost pay off our national debt at the time (let that one sink in for a moment). 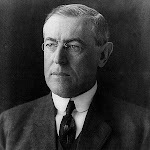 The point is, as Ezra Klein tells us, the culture of Washington is more concerned with political games and pushing failed ideologies rather than the truth and good public policy. So, yeah, we are shooting ourselves in the foot. This is just one of the reasons why Washington has become a "cesspool of faux-experts who do bad research (or no research)." Put more simply, Washington is full of policy poseurs who are really ideologues accustomed to winking at each others ignorance. 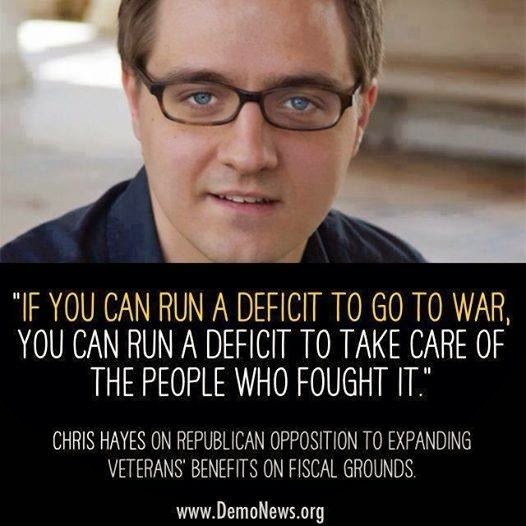 And ISIS must be dealt with by arming "moderate" Syrian rebels. 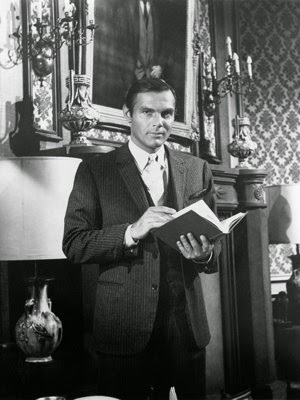 Adam West (a.k.a. Batman) is 86 today / Sept. 19, 2014. Governor Brown suspends unenforced sections of proposition 187 (LA Times). The ABCs of ISIS ... How ISIS works (NY Times). The capitalist case for a $15 an hour minimum wage (Bloomberg). Elizabeth Warren: The revolving door is spinning wildly in Washington (Alter Net). Florida homeowners steamrolled as judge clears foreclosure backlog (Center for Public Integrity). Bill aims to stop coal companies from denying benefits to miners with black lung (Center for Public Integrity). Collectors seize wages of millions of debtors burdened by debt after 2008 meltdown (Alter Net). Obama Derangement Syndrome: Conservatives find a way to attack President Obama for fighting Ebola (Media Matters). School district police stock up on military surplus gear (ENews Earthlink). Conservative Christians trying their damnedest to make America's kids wildly ignorant (Alter Net). NRA caught handing out newsletter calling for treason and violent revolt (Democratic Underground). I thought we banned cocaine for health reasons. Nope. Not even close (Upworthy). 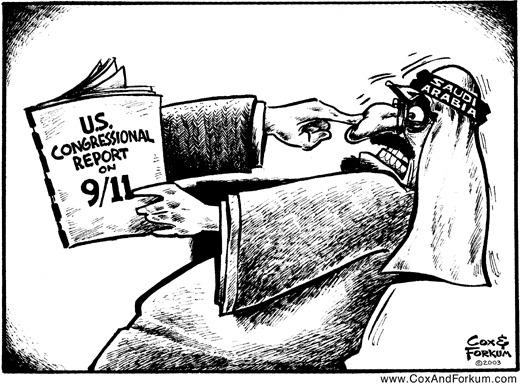 Saudis lobbied John McCain and Lindsey Graham to sell war ... they dutifully get to it (Daily Kos). War Drums: ISIA is 'rapidly developing a method of blowing up a major U.S. city,' senator (with no credibility, in my view) warns as Hagel says military must 'get ready' for action (Mail Online). Here we go again ... Pentagon says U.S. ground troops may join Iraqis in combat against ISIS (The Guardian). Who's paying the pro-war pundits? 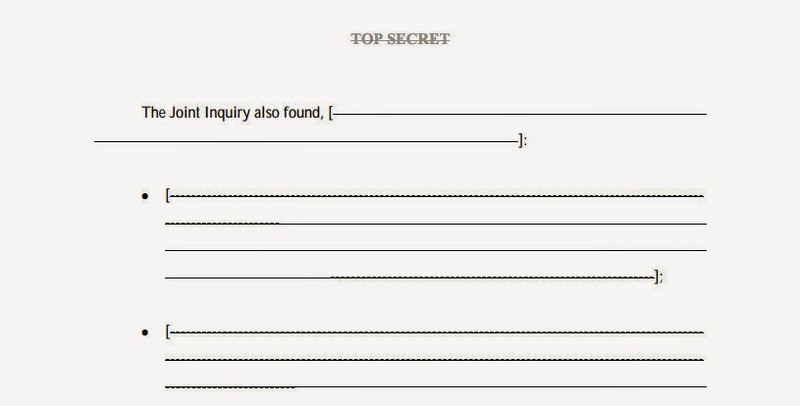 Shouldn't the public know about their links to Pentagon contractors (The Nation)? House of Representatives approves President Obama's plan to arm Syrian rebels (The Guardian). 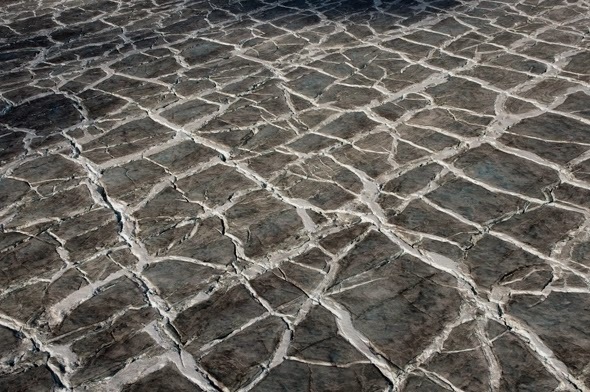 'Incredible' rate of polar ice loss alarms scientists (The Guardian). Scientists find 'direct link' between earthquakes and fracking process used for oil and gas drilling (Think Progress). UN scientists see largest CO2 increase in 30 years: "We are running out of time" (Nation of Change). Louisiana governor hedges on climate change, as his state disappears into the sea (Think Progress). President Obama may have just dealt a crushing blow to Russia's oil exploration (Business Insider). The U.S. has been the world's sole superpower for the past 13 years - why hasn't it done anything good (The Nation)? It's official: White residents in Red States are the biggest food stamp moochers in the country (ATTP). A recent study shows that as the Arctic warms, their forests are burning at rates 'unprecedented' over the past 10,000 years. 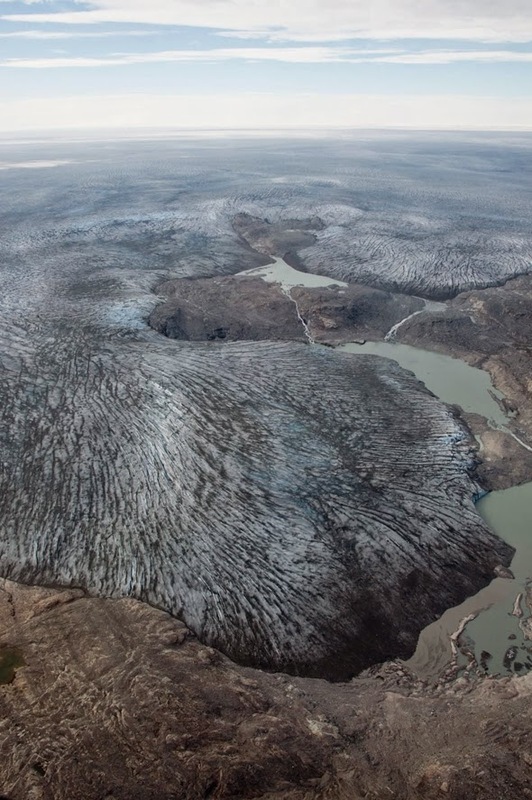 This year the smoke and soot from those fires drifted over Greenland. 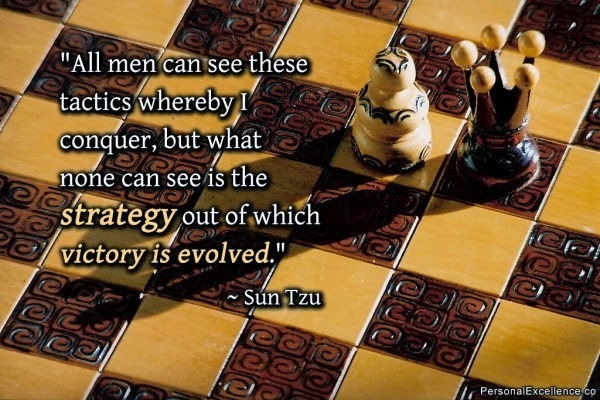 As we consider whether we want to ratchet up our efforts in the Middle East, we need to consider the following: Sun Tzu, Chinese military general and philosopher - and author of The Art of War (c. 500 B.C.) - wrote that a true mastery of war requires deception. 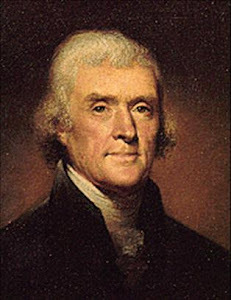 He wrote that if you could goad and deceive your enemy that "the opportunity of defeating the enemy is provided by the enemy himself." This meant you had to understand your enemy. Now consider what Osama Bin Laden said was the real goal behind the events of 9/11. The very visible tactic of slamming planes into buildings was not the end game. Bin Laden's strategy went beyond battle field tactics. Bin Laden believed that if he could drag the United States into an endless war scenario in the Middle East that he could bleed "America dry to the point of bankruptcy." All that we have to do is to send two mujahedeen to the furthest point east to raise a piece of cloth on which is al Qaeda, in order to make generals race there to cause America to suffer human, economic and political losses without their achieving anything of note other than some benefits for their private [military] corporations. Bin Laden, it would appear, understood the United States well. After the United States invaded Iraq Bin Laden gloated that it was "easy for us to provoke and bait [the Bush] administration." 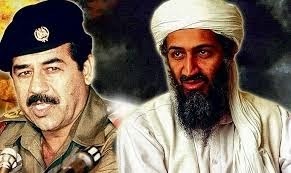 Getting the United States to topple Saddam Hussein - who bin Laden did not like because he saw him as a religious poseur - was only icing on his larger strategic cake. Bin Laden would, no doubt, crow over the direction that the U.S. Congress and the Obama administration seem headed today over ISIS. 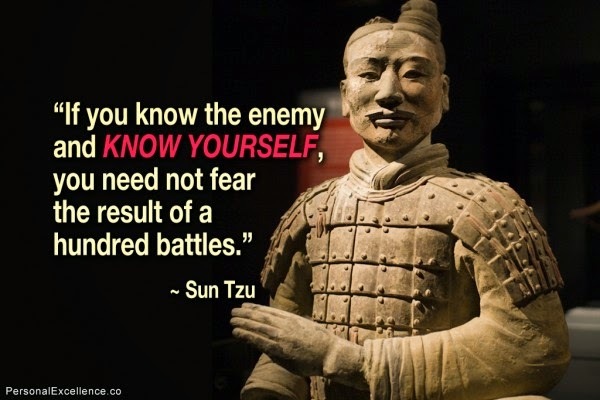 On this, I have no doubt that Sun Tzu would look at the fear, paranoia, and petty political grandstanding in America - past and present - and praise bin Laden as a "skillful leader" who appears to have led America into an endless war scenario in the Middle East. There is little doubt that a war in perpetuity will bust U.S. budgets and, eventually, will help collapse the economy (though, Wall Street's doing it's part too). Worse, if America pursues a "U.S. boots on the ground" policy - which many believe will be pursued against ISIS - Osama bin Laden stands a chance of going down as one of military history's greatest strategic generals. The clip below is worth watching, twice. Hanaure's assertion that the justification of "divine right" has been replaced with a blind belief in "trickle down" economics (18:58) is spot on. Hat tip for the clip, Gary. DONALD TRUMP ... POSTER CHILD FOR WEALTH EXTRACTION IN AMERICA? 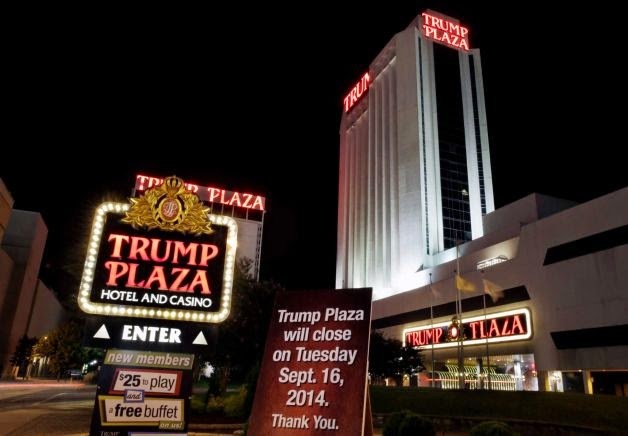 So, after using the Trump Plaza to weasel his way out of contracts and obligations during his companies' four bankruptcies - while paying himself millions in the process - Donald Trump has finally given up on Trump Plaza, for now. If you read the story behind Donald Trump and the four bankruptcies (1991, 1992, 2004, and 2009) that surround his business "empire" it's easy to see that both a Ponzi scheme mentality and wealth extraction are now at the heart of his deals. In effect, Donald Trump has been upping the ante with borrowed money every time his companies run into financial trouble, and then paying himself more in the process. But this is nothing new for corporate America over the past 30 years, which is a problem that should concern us all. Unfortunately, wealth extraction as a corporate goal is not our only problem. 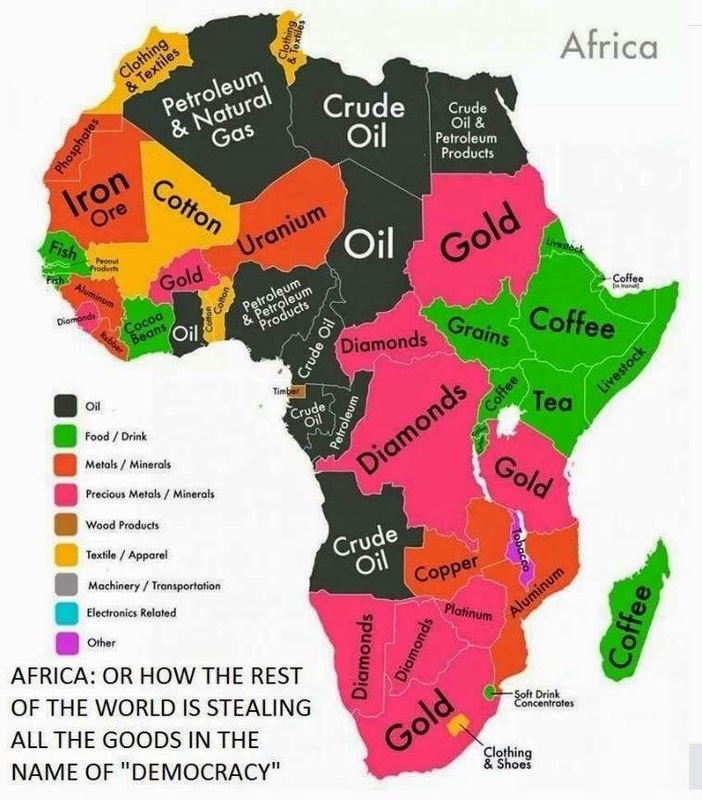 We need to look at the human wreckage that this type of arbitrage and wealth extraction does to real people. Borrowing more to make bigger market bets, and then hiding behind corporate and legal walls as you pay yourself big bucks at the same time your firms declare bankruptcy is not my idea of market capitalism. And it's all built around a legal platform that the laws of our country allow, and encourage. I've said it before, and I'll say it again: Favorable legislation, deregulation, and artificially cheap money are eating the spirit out of America. The bankruptcy of Detroit and the division of America (Robert Reich / Bill Moyers). Scalia's utter moral failure: How he destroys any claim to a superior system of justice (Salon). Obama says we are at war with ISIS (Yahoo News). 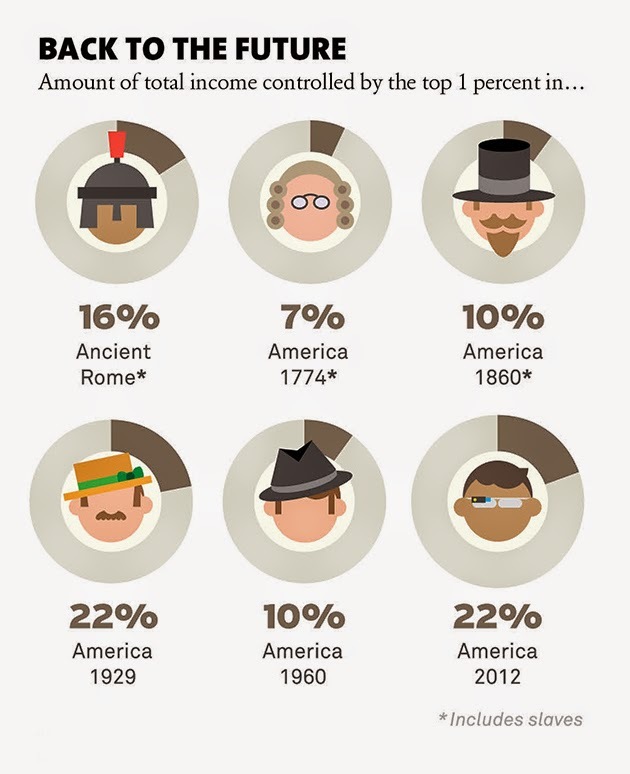 Smart Charts: Six ways to tackle inequality in America (Bill Moyers). The American fear-mongering machine is about to scare us back to war, again (The Guardian). The pleasant fiction of "no boots on the ground" (Truth Out). Judge says U.S. doesn't have to reveal costs of Guantanamo's Camp 7 (McClatchy DC). FERGUSON: A POLICE "COMPANY TOWN"? In Ferguson cops hand out 3 three warrants per household every year (Mother Jones). How many ways can the city of Ferguson slap you with court fees? We counted (Mother Jones). Conservative Navy Seal arrested for fabricating story about being shot by a black mob (Addicting Info). 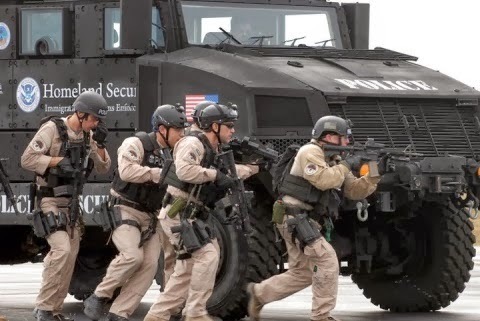 Public school police department receives mine-resistant ambush protected vehicle (Mint Press News). Even more jobs created, Republicans crap all over it (Blue Nation Review). House Republicans slash funding that would help fight Ebola (Salon). Abbot's Houston raid didn't end with arrests, but it did shut down voter registration drive (Dallas News). Sarah Palin and family engage in drunken Alaskan brawl (Politics USA). Commenting on Ray Rice Maryland GOP candidate says, 'How is she the victim when she began the assault?" ... 'Women want equality', Ray Rice just gave 'some of it' to his wife (The Raw Story). Former Republican state senator, and current Arizona Republican Party vice-chair, wants to sterilize poor women on public assistance, in addition to testing them for drugs and alcohol (Crooks & Liars / Phoenix New Times). Fox guest suggests biblical principles prevent an Ebola epidemic (News Hounds). Religious right calls for deportation, sterilization and holy war on Muslims (Politics USA). Sean Hannity defends Duck Dynasty's 'strong Christian' Phil Robertson's biblical belief that ISIS members should 'convert or die' (News Hounds). Forget the bucket list: These are the things to avoid before you die (The Guardian). Workers in Maine buy out their jobs, set an example for the nation (Truth Out). Should we all be taking a little lithium (NY Times)? Are we approaching the end of human history (Bill Moyers)? 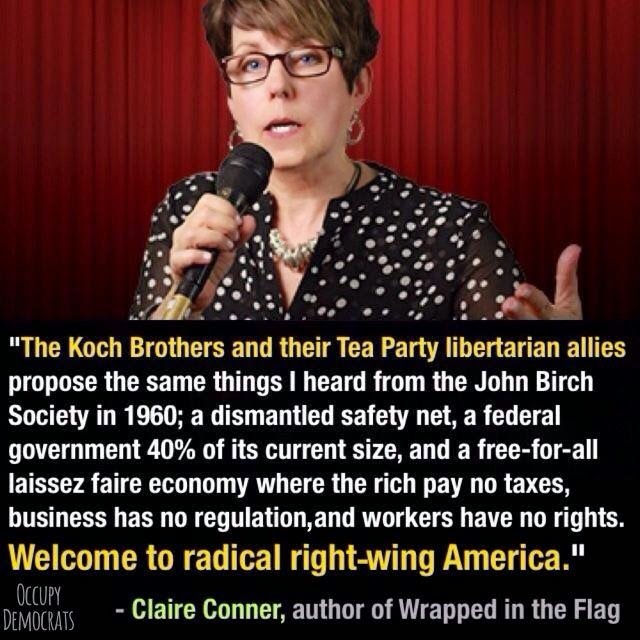 How the Tea Party is causing big business to back Democrats (Mother Jones). In the spirit of the my previous mariachi post ... 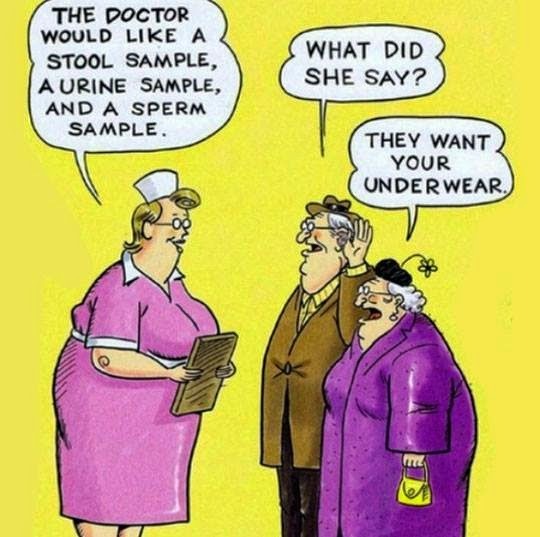 I've always liked this one. For a host of reasons most Americans have given up on tracking how much money the American taxpayer was put on the hook for after the market collapsed in 2008. I have not. This Monday, September 15, marks the 6 year anniversary of our inglorious market crash. 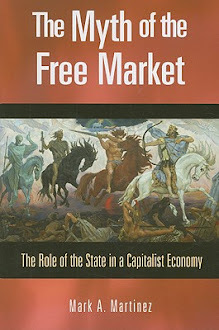 Since the 2008 market collapse the federal government - i.e. the American taxpayer - has bailed out Wall Street and backstopped the market bets of our nation's biggest financial players. 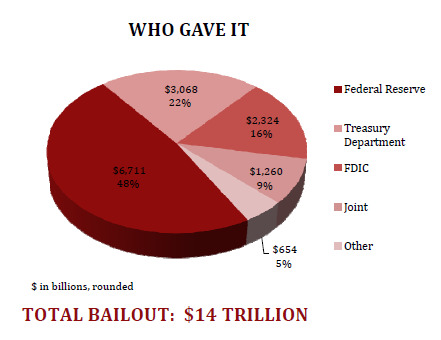 From providing low interest loans (0.75%), to backstopping market insurance programs, and by purchasing Wall Street's toxic assets, the American government (led by the Federal Reserve) has committed a little over $14 trillion to America's largest financial institutions. Throw in the more than $1.5 trillion made available through President Bush's TARP and President Obama's stimulus package and we're talking about $16 trillion (give or take a few hundred billion dollars). Then we have the fact that America's middle class saw lives ruined as its wealth collapse by 40 percent after 2008. But this isn't about Main Street. It's about Wall Street. To give you an idea of the scale behind the Mother of All Bailouts, the entire U.S. economy is expected to produce $16.8 trillion worth of goods and services in 2014 (and only produced about $14.4 trillion in 2008). If you're looking for a functional equivalent of what we handed Wall Street that's easy to understand, imagine your bank offering to loan you the amount of your entire salary for the year at 0.75 percent interest. Now imagine your bank also agreeing to accept the full value that you paid for your house in 2007 (say, $500,000) as collateral when the value of your house today is only 60 percent ($300,000) of what you paid for it. This is effectively what we offered Wall Street after the market collapsed in 2008. We gave them almost free money, and took crap for collateral. Nice. So, where did all the money go? Seriously, after raining trillions on Wall Street and the financial sector, why hasn't any of the wealth trickled down to the rest of us? 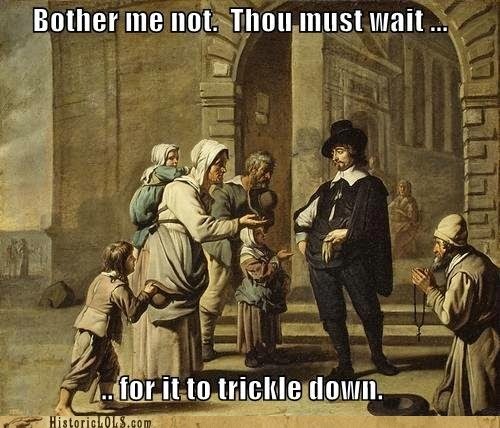 The wealth hasn't trickled down for two reasons. First, the money's gone to our pampered and protected banks, who are using a variety of ways to hoard cash. As well, the money has effectively been stashed away as credits and guarantees for Wall Street's next industry induced market collapse. I have two inserts below that show who's hoarding (Wall Street and the Too Big To Fail banks) and stashing (the Federal Reserve and Treasury Department) our money. The first tells us who are the recipients of the various government loan programs. 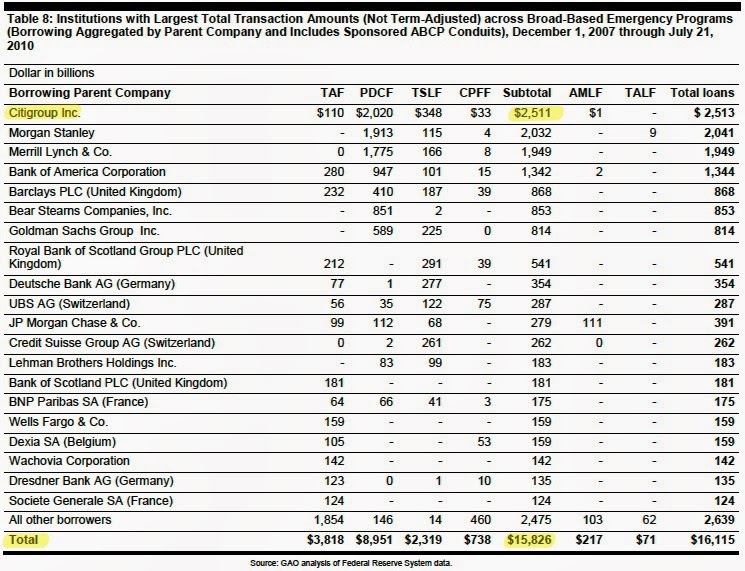 It's from the GAO's 2011 audit of the Federal Reserves bailout costs, which was released July 11, 2011 (p. 131 in the audit report, 144 on your screen as you scroll). Loans made to financial institutions via assorted government programs (in billions of dollars). Because the loan programs were viewed as insufficient to deal with the totality of Wall Street's market mess the Federal Reserve and the U.S. Treasury Department are also offering an alphabet soup list of financial programs that pretty much guarantee the market bets of our nation's biggest financial firms will pay off. 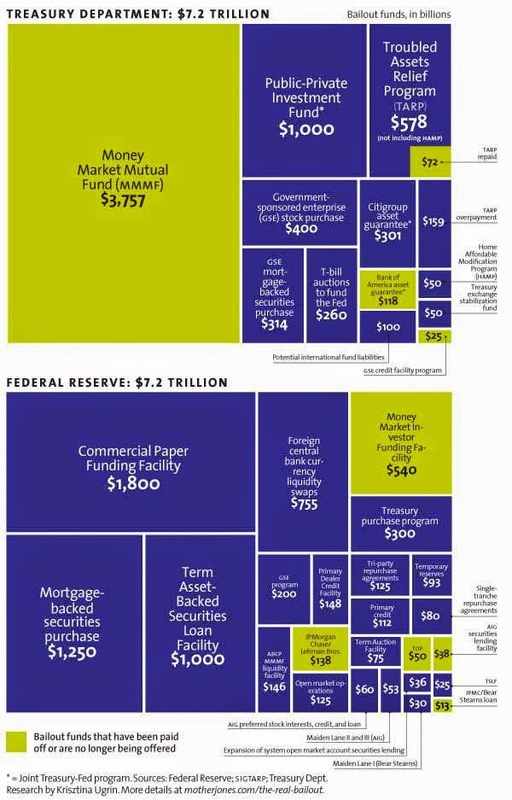 Below are two area charts of the individual programs that were made available by the Federal Reserve and the Treasury Department. They add up to more than $14.2 trillion. Coupled with the more than $1.5 trillion that Presidents Bush and Obama coughed up - via the bailout (2008) and stimulus (2009) programs - and we're looking at almost $16 trillion (again, just about the value of all the goods & services we'll produce this year). In 2011 the NY Times did a break down of these programs and their costs, which you can access here. A description of each program can be found in the appendix section of the GAO's audit (p.p. 148-242). The point is that if there's one thing we shouldn't forget it's that the American taxpayer is footing the bill for Wall Street's foolishness, and their epic financial gains. 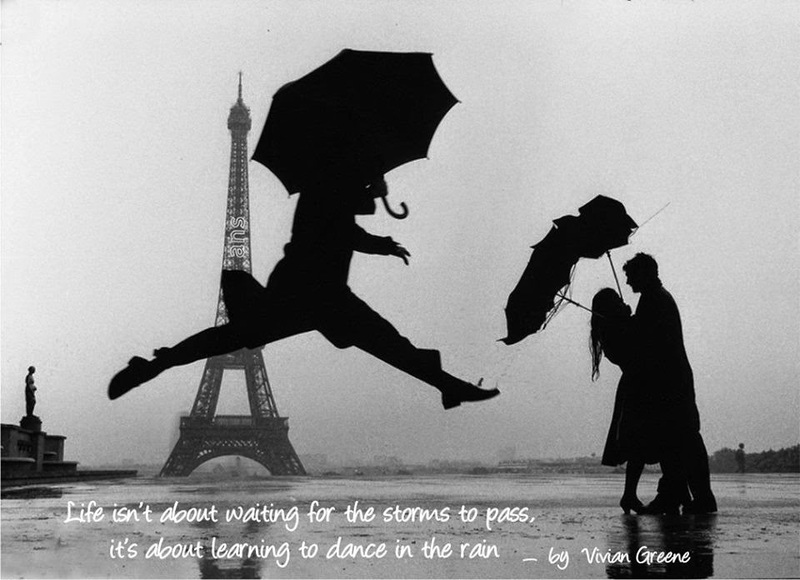 Unfortunately, the complexity of it all is one of the reasons why we don't pay much attention to the damage. In fact, I would say that we've forgotten all about it. Because we're patriots. And don't believe the "drone war will work" logic. 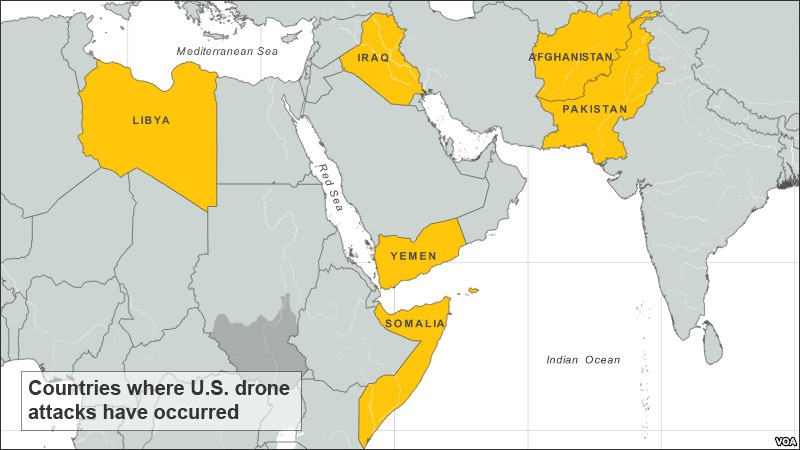 We've been using drones throughout the Middle East for years, and the region has not gotten safer or more stable. 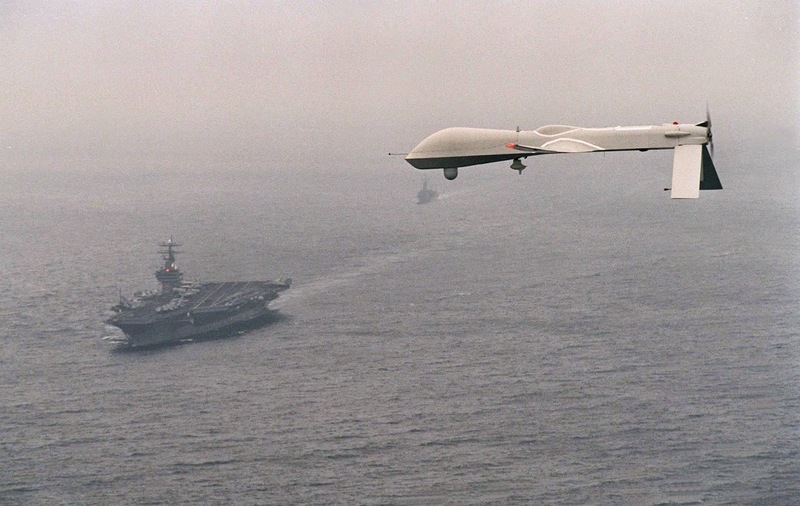 These are not "Goodwill Drones." They have done real damage. What makes President Obama's drone strategy less convincing is that we're going to depend on the Iraqi army to fight and hold drone bombed territories when it was the U.S. trained Iraqi army that dropped their weapons and ran when ISIL showed up the first time. Unless our allies (or us) are willing to make investments that go beyond simply putting boots on the ground, we're in for a continuation of the military mess we've seen in the region over the past 60-plus years. No synopsis. This is worth reading in its entirety. The Co-Chair of the congressional investigation into 9/11 – Bob Graham - and 9/11 Commissioner and former Senator Bob Kerrey are calling for either a “permanent 9/11 commission” or a new 9/11 investigation to get to the bottom of it. We need to have this information now because it’s relevant to the threat thatthe people of the United States are facing today.